The Face Shop Sheet Masks Review - YOUR FANCY SELF! Today's Blog post is about the sheet masks by a Korean brand, The Face Shop. Ever since Nykaa.com bought The Face Shop in India, sheet masks have become more like an ongoing trend. And now so many companies have come up with their own sheet masks. Sheet Masks are thin pulp sheets which are completely saturated with nutrition-packed solution called serum. The serum containing all the nutrients are in water phase, thus the sheet of the mask increases the time of contact of serum to the skin and helps in even better absorption of serum when applied otherwise. The sheet acts like a barrier that locks the nutrients in and prevent their evaporation. Sheet Masks are highly moisturizing and nourishing. They are an easy on the go face treatment for your skin. They are easy to use and great for people travelling, I mean you can shove a few of them in your bag and pamper your skin anytime and anywhere. 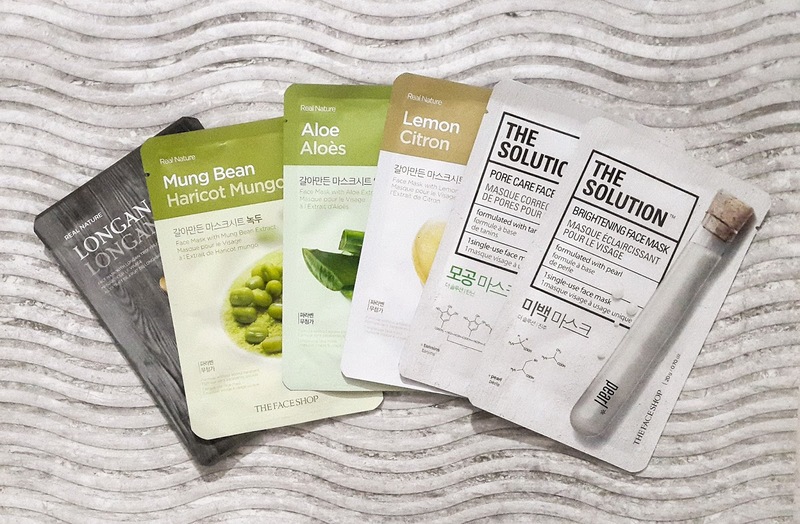 Each sheet mask can be used just once. Sheet Masks definitely cannot replace your regular salon clean-ups and facials, but they are great for some pampering at home. Easy and Relaxing! For amazing offers like 2 masks free on buying 3 masks, buy here. I tried the sheet masks for the first time ever. More than recognizing its benefits, I was excited and happy to try something totally different. Talking about the price, they are very affordable but taking into the consideration that you can use them just once they might be hard on your pocket if used regularly. They are very easy to use and soothing. They are great when you are tired, just put one on and relax. Each mask is said to perform according to its ingredients. I ordered a bunch of Real Nature masks which retail for Rs. 100 each and the Solution masks which retail for Rs. 150 each. The solution masks are very thinner than the real nature masks. I liked the masks, the skin after you remove them is like softness up by 500 level. I was surprised for they made my skin so soft and glowing. After removing the mask, don't wash the serum off the face rather massage it in and you are good to go. However the skin does feel tacky after the mask, so I don't recommend applying this when you are planning to go out. So to give the serum decent amount of time to stay on the skin, use them accordingly. I used the brightening mask yesterday and My skin feels so soft even today. I would prefer The Solution Masks over the Real Nature ones, for I noticed better results with the solution one. Also, an important thing do not use this mask over 15 mins, for the sheet will absorb back the serum if left for very long and there would be no benefit of using the mask. I would say that do not expect a lot form the masks, they are not like some magic potion. Like any other skincare product, they need their fair amount of time to show great results. However, your skin would be nourished and soft after using it even once. I think they might be expensive if used daily, but they can be a great skin staple if used at frequent intervals. They can be a great travel buddy and relax you off the tiredness of the travelling. Overall, the masks are good and one should try them once. Definitely the results vary from one skin type to other. 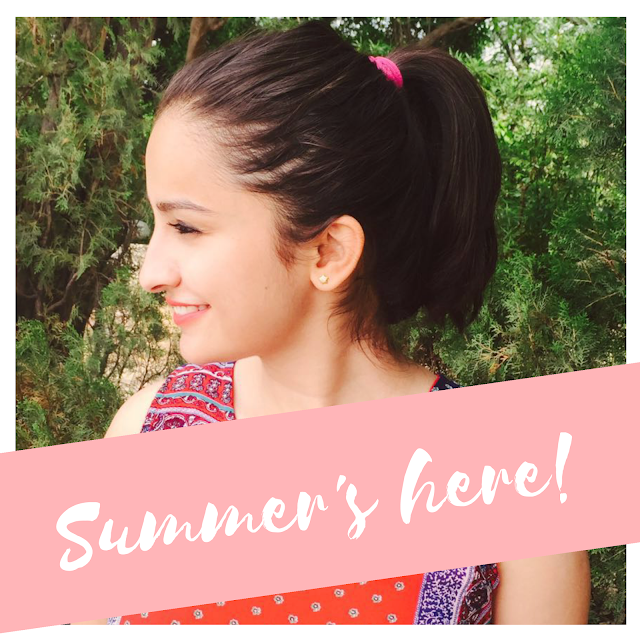 Easy Half-up Braid Knotted Hairstyle - Summer Style!